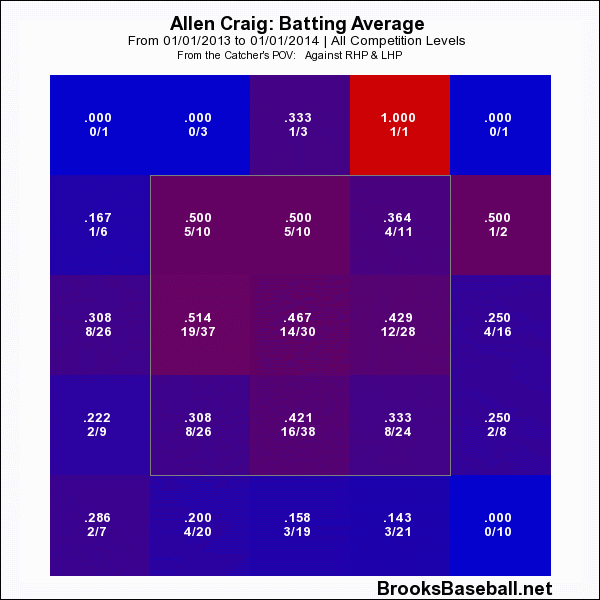 It’s the hot/cold zones for Allen Craig from brooksbaseball.net for 2013. It’s amazing to me because I there isn’t a single place inside the strike zone that is below .308. That’s pretty amazing. Most of the time that he gets out, it’s outside of the strike zone. If someone wants to go up there and throw strikes, but he can hit pretty much anything inside the zone, what is the pitcher going to do? While there isn’t a whole lot that jumps out at me, the biggest thing I see is the decrease in swings on belt high pitches. 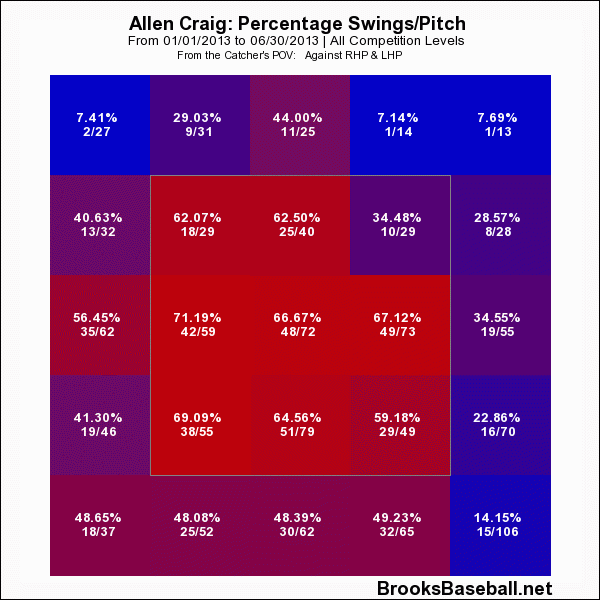 I’d especially point out the middle in pitch that he has only swung at 50% of the time in July compared to 70% or so on the season. I’d also highlight how much he has gone out of the zone low and in (70%) compared to 48% in other months. 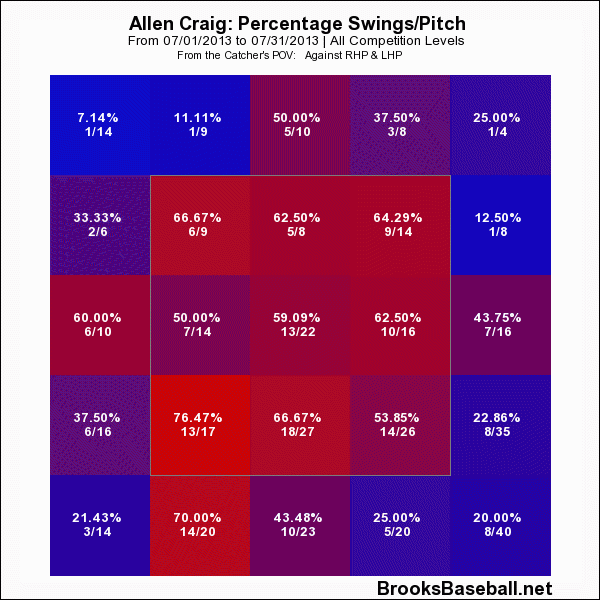 I’d also note that he has a 0.167 SLG on balls in play in that low and in spot . 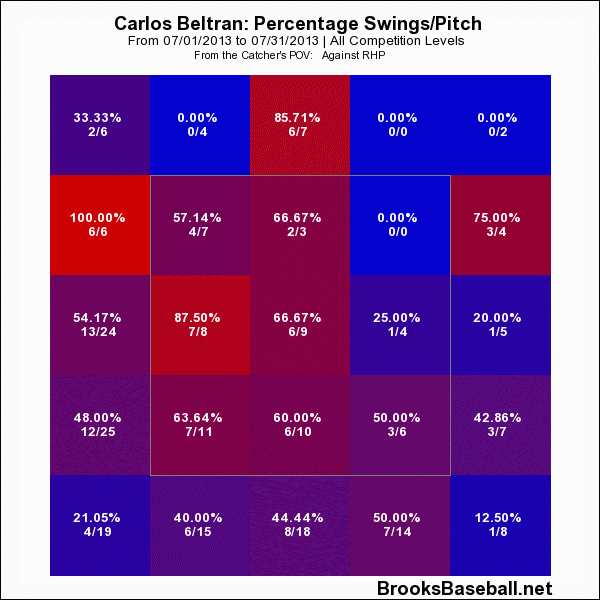 Beltran has taken many more swings on pitches off the plate away in July than in the previous months. 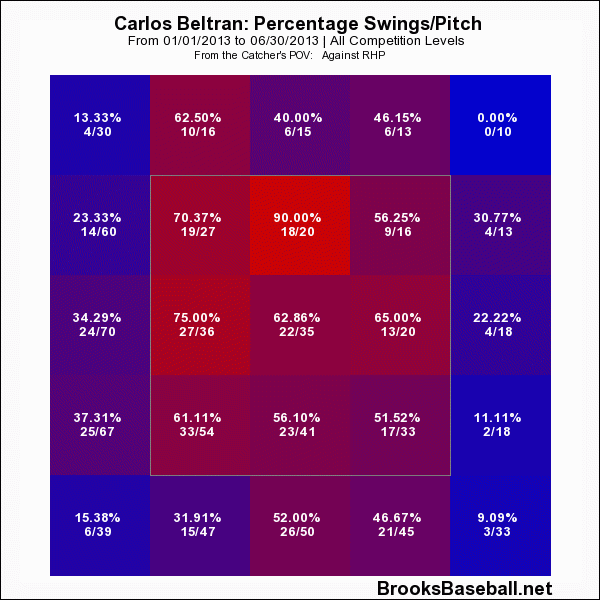 He’s had some success out there on the belt high pitches (not a ton, but some), but the others he’s not had the kind of success to justify the swing rate out there. All in all it seems like there are some approach differences that could be leading to the performance drop off. Hopefully things will turn around shortly.